Beale is home of the 9th Reconnaissance Wing, and is also considered by many to be one of the show places of the United States Air Force. A base steeped in history, it is in the forefront of the Air Force�s future in high technology. Beale is located in northern California about 10 miles east of the towns of Marysville and Yuba City and about 40 miles north of Sacramento, the state capital. Beale is a large base in terms of land and has five gates providing access on all sides of the base. Visitors enter the base through a main gate that local merchants, individuals and the Beale Military Liaison Committee donated $100,000 to construct. The base, covering nearly 23,000 acres, is home for approximately 4,000 military personnel. Unlike most Air Force bases, which since the birth of the Air Force in September 1947 have carried the name of famous aviators, Beale AFB honors the man who founded the Army Camel corps and who was one of California's largest landholders. 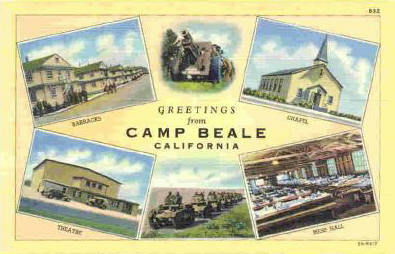 Camp Beale opened in October 1942 as a training site for the 13th Armored and the 81st and 96th Infantry Divisions. During World War II, Camp Beale�s 86,000 acres were home for more than 60,000 soldiers, a prisoner-of-war encampment and a 1000-bed hospital. In 1948, the camp transferred from the Army to the Air Force. The Air Force conducted bombardier and navigator training at Beale and, in 1951, reactivated the Beale Bombing and Gunnery Range for aviation engineer training. The base has been under several commands including: Air Training Command, Continental Air Command, Aviation Engineer Force, Strategic Air Command and, on June 1, 1992, the newly created Air Combat Command. 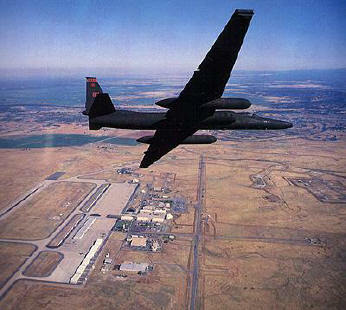 The U-2 began flying for the Air Force in 1956. In May 1959, Colonel Paul K. Carlton assumed command of the recently activated 4126th Strategic Wing. The first two KC-135s arrived two months later on July 7, 1959. On Jan. 18, 1960, the 31st Bombardment Squadron with its B-52s arrived at Beale to become part of the wing. The 14th Air Division moved to Beale from Travis Air Force Base one week later. On Feb. 1, 1963, SAC redesignated the 4126th as the 456th Strategic Aerospace Wing. On Sept. 30, 1975, the 456th Bombardment Wing inactivated, and the 17th Bombardment Wing activated in its place. On Sept. 30, 1976, the 17th inactivated, and the 100th Strategic Reconnaissance Wing at Davis-Monthan Air Force Base, Ariz., became the 100th Air Refueling Wing and moved to Beale. Many of the people and the tankers that had been part of the 17th now became members of the 100th. The 17th Wing�s B-52s moved to other bases. The 100th ARW stayed at Beale until March 15, 1983, when the Air Force inactivated the wing and consolidated its refueling mission and assets into the 9th Strategic Reconnaissance Wing. 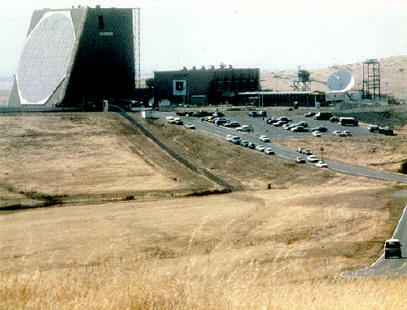 From 1959 until 1965, Beale was support base for three Titan I missile sites near Lincoln, Chico and the Sutter Buttes. On July 1, 1979, the 7th Missile Warning Squadron brought the PAVE PAWS radar site to Beale. This 10-story structure can detect possible attack by sea-launched ballistic missiles. The 7th Missile Warning Squadron operates a PAVE PAWS phased array radar situated on the outskirts of Beale AFB in south central California. The radar is primarily used to detect submarine launched ballistic missiles. Mock missile attacks, site emergencies and equipment failures keep the Canadian and American crew busy. A routine training session can become a lesson in the unexpected. When the Beale radar picks up a disintegrating spacecraft, usually there's a warning. Once or twice a year, when the system is being used for training, it goes to an operational display over the Pacific, tracking a satellite which is breaking up with pieces all over the place. Following appropriate procedures, the crew runs tests to ensure the pieces are from the same object, providing no-notice training. On Oct. 15, 1964, the Department of Defense announced that Beale would be the home of the new, supersonic reconnaissance aircraft, the SR-71 Blackbird. The 4200th Strategic Reconnaissance Wing activated on Jan. 1, 1965. The new wing received its first aircraft, a T-38 Talon, on July 8, 1965. The first SR-71 did not arrive until Jan. 7, 1966. On June 25, the 9th Strategic Reconnaissance Wing, that began as the 9th Observation Group in 1922, and its 1st Strategic Reconnaissance Squadron activated as the 1st Aero Squadron in 1913, replaced the 4200th. The first U-2 arrived from Davis-Monthan on July 12, 1976. Until Jan. 26, 1990, when budget restrictions forced the retirement of the SR-71, Beale was the home of two of the world�s most unique aircraft. On Sept. 1, 1991, the 14th Air Division inactivated, and the 2nd Air Force, with a lineage stretching back to World War II, activated at Beale. Second Air Force inactivated on July 1, 1993, and activated at Keesler Air Force Base, Miss., that same day. In July 1994, the 350th Air Refueling Squadron transferred from Beale to McConnell Air Force Base, Kan., taking the last of the KC-135Q tankers with it. Also, in 1994, Congress directed the reactivation of three SR-71s and their return to operational status by Sept. 1, 1995. The aircraft were maintained at Beale�s Detachment 2 at Edwards Air Force Base, Calif.